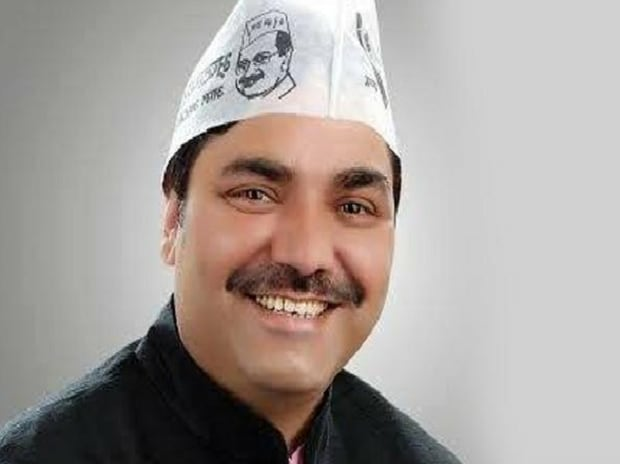 An Aam Aadmi Party (AAP) MLA has been detained by the Income Tax Department sleuths for questioning after their team surveying a builder in New Delhi on Friday found over Rs 2 crore cash allegedly "linked" to the legislator and his associates, officials said. They said Uttam Nagar MLA Naresh Balyan, a property dealer and 2 others are being questioned by the tax officials in Dwarka to ascertain if the recovered cash was "illegal and unaccounted." "Balyan has been detained for questioning after it emerged that the recovered cash had purported links with him. The tax officials are questioning the MLA and others present with him about the source of the money," a senior official said. The incident took place shortly after 1 PM on Friday when an I-T team reached the office of a real estate dealer to conduct a "routine survey" on a tip-off about some cash changing hands. A survey procedure entails I-T officials visiting only the business premises of an assessee and not their residential or other locations. Balyan and few other people were found at the spot and intercepted by the tax team at the Dwarka office of the builder and they were refrained from leaving the premises as the cash amount of over Rs 2 crore was recovered from the premise. After the recovery of the cash, the department has "converted" its limited action of survey into a full-fledged 'search and raid operation' and few more premises of the people linked in the case are being covered now, the official said. He said that tax sleuths were told that the cash pertains to some property deal even as further details are awaited.